SPRINGFIELD–State Senator Steve Stadelman (D-Rockford) was joined by Rockford Mayor Larry Morrissey in the Illinois Senate Revenue Committee to testify in support of extending the River Edge Historic Tax Credit. The credit is equal to 25 percent of the cost of the rehabilitation and can be utilized in Aurora, East St. Louis, Elgin, Peoria and Rockford. In Rockford, the existing tax credit has already created 110 construction jobs and led to the $12 million renovation of the Prairie Street Brewhouse. “Thanks to this tax credit, we have already seen multi-million dollar investments create jobs and grow the tax revenue for our community. I’m fighting to extend this credit to promote additional investment and job growth in Rockford,” said Stadelman. If the credit is not extended, the future of another major project, the Ziock Building rehabilitation, may become uncertain. “The proposed plans to rehab the Ziock Building into a hotel and convention center would create new jobs and tax revenue for our community. The additional tourists the hotel could attract to visit our topnotch sports facilities and other amenities would create a tourism boom in Rockford’s economy,” said Morrissey. Stadelman’s legislation will be brought to a vote in an upcoming Senate Committee. 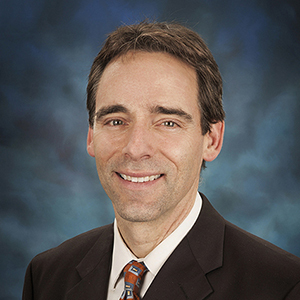 SPRINGFIELD–State Senator Steve Stadelman (D-Rockford) has been appointed to serve on the Midwest Interstate Passenger Rail Commission, a key organization that advocates for passenger rail expansion throughout the region. "This is a great opportunity to continue advocating on behalf of one of my biggest priorities, bringing Amtrak to Rockford. Once it is completed, the new rail will be a tremendous boost to our economy, and I look forward to the resources and guidance this organization can provide to help get the job done," said Stadelman. The commission, originally formed in 2000, is made up of state legislators and gubernatorial appointments from Illinois, Indiana, Kansas, Michigan, Minnesota, Missouri, Nebraska, North Dakota and Wisconsin. Stadelman was chosen for the appointment by the Illinois Senate because of his continued commitment to expanding Amtrak to Rockford. The two-year appointment ends in January of 2017. Stadelman will join Scott Bennett (D-Champaign) as one of two newly appointed representatives from the Illinois Senate on the commission. SPRINGFIELD–State Senator Steve Stadelman (D-Loves Park) joined with other legislators today to pass legislation that allows voters to decide who will fill an unexpected vacancy in a statewide position. Currently, openings are filled by an appointment by the sitting governor, with no say from voters. "Voters in Illinois should have a say in who is representing them in Springfield. We need to allow the people, not politicians, to go to the polls to decide who is best for the job," said Stadelman. Due to the unexpected passing of Comptroller Judy Baar Topinka, an emergency appointment was made to allow the duties of the office to be completed. Gov.-elect Bruce Rauner plans to appoint Leslie Munger to the position when he is sworn in next week. The legislation passed today would allow Munger to be appointed to a two-year term beginning immediately, and give the voters a chance to decide the next state comptroller during the general election in 2016. Normally, the comptroller would not be voted on until 2018, giving Munger a four-year term with no voter input. Other state lawmakers have also proposed a constitutional amendment to merge the offices of state comptroller and treasurer to save taxpayer money. 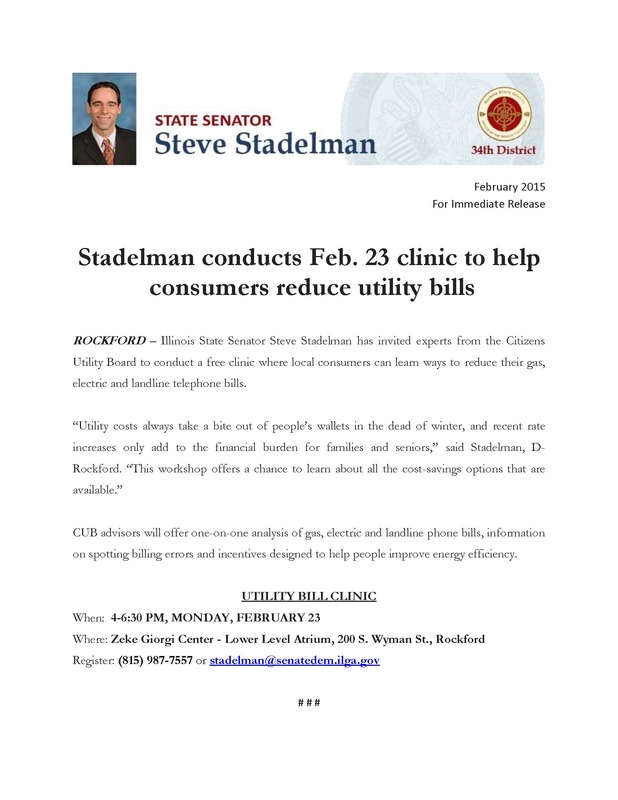 Stadelman supports this measure and hopes it can quickly advance when the new Senate is sworn in next week. "For now, we must focus on allowing the voices of the voters to be heard. When the Senate reconvenes next week, merging the two offices and saving taxpayer money will be one of my top priorities," Stadelman said. House Bill 4576 now heads to the House of Representatives.